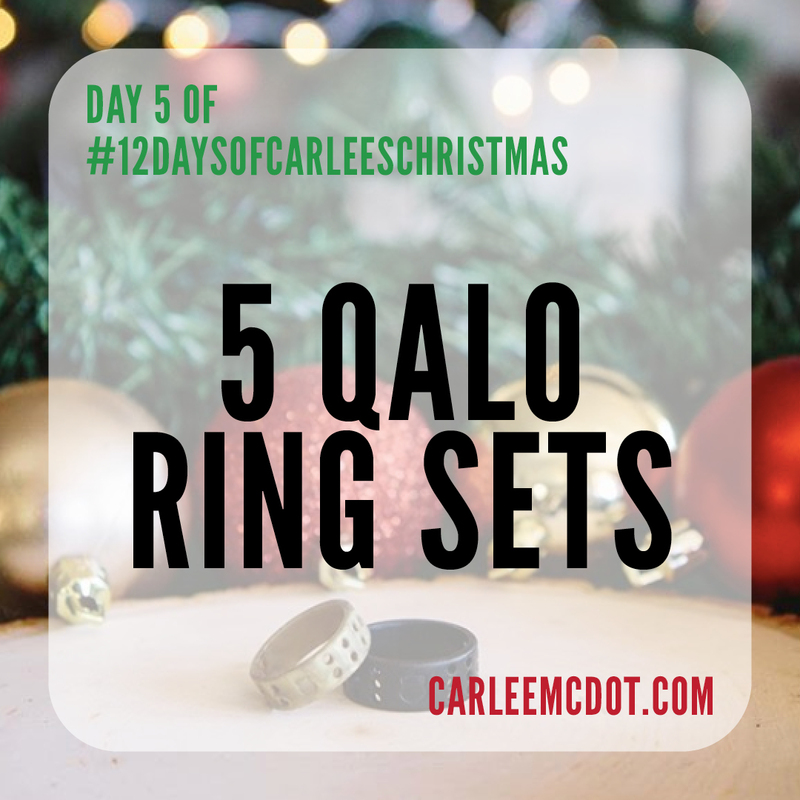 Well, the AMAZING folks at QALO not only offered up 5 sets of rings for the winners (five winners and their spouses each received a ring of their choice), but they also totally surprised me with an FAN-FREAKIN'-TASTIC gift in the mail! Am I the only one who thinks "What's in the box?" from Seven when I see a box?! Seeing as their rings are small, I had no idea what to expect from the large box... but I was stoked to see what was inside! There was a lot of thought put into this box and I felt ALL THE LOVE! "To this person, nothing speaks more deeply than appropriate touch." The items that represented this language were a mini Crest Pro-Health mouthwash, a grapefruit tree candle from The Hundredth Acre and candy cane lip sugar from Bambu Earth. The little note that came with this set said, "From hugs to kisses, physical touch communicates love, gratitude, and compassion. Take some time to spread the love." "This language uses words to affirm other people." The item that represented this language was a stack of note cards that says "What I love about you" on the top of them. The little note that came with them said, "Everyone loves a compliment! Fill out a card to brighten up their day with a reminder of what you love most about them." "For some people, what makes them feel most loved is to receive a gift." The items that represented this language were QALO rings (both the hubby and I each received a set - he was sent the Men's Essential Gift Set and I was gifted the Women's Adventurer Gift Set). The little note that came with them said, "Everyone feels special when they receive a gift. Put a smile on your spouse's face by handing them this!" "For these people, actions speak louder than words." The item that represented this language was a bag of Keala's Honolulu Blend Coffee. The little note that came with it said, "Actions speak louder than words. Surprise your spouse with a cup of coffee when they're least expecting it!" "This language is all about giving the other person your undivided attention." The items that represented this language were two classic Corkcicle canteens (one gloss white and one matte black). The little note that came with them said, "Go somewhere new together! Throw these in your backpack for a hiking date!" Can I just say how AMAZEBALLS this box was?! I had no idea that it was coming, and it ROCKED MY FREAKIN' SOCKS! I think the hubby and I both had our mouths wide open while opening everything they (and their friends) sent! No matter what your love language, I think if you received this box o' goodies in the mail you'd DEFINITELY feel the love! Obviously you can tailor these ideas for your partner, but I thought they were an AWESOME jumping off point and could help to get your creative juices flowing. PS If you don't know what your love language is (or that of your significant other), you can learn your love language by taking the quiz HERE. And a HUGE THANKS to QALO for the holiday surprise! Boxes like this are awesome! I think my love language is service (I took the "test" years ago so I don't recall 100%).